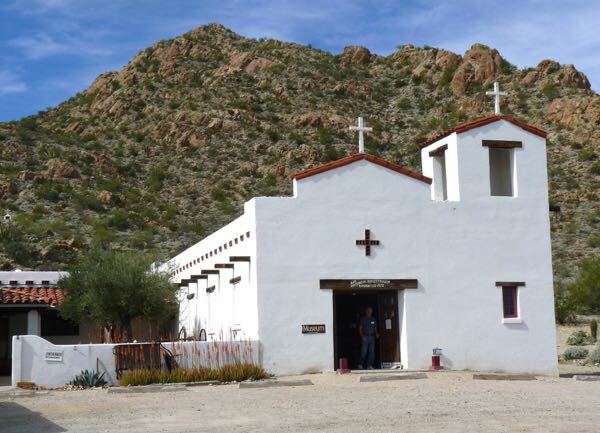 A trip to Ajo in southwestern Arizona was made to check out the small town for it’s efforts at becoming an artist haven. Originally a company town, it has about 100 buildings on the National Historic Register. 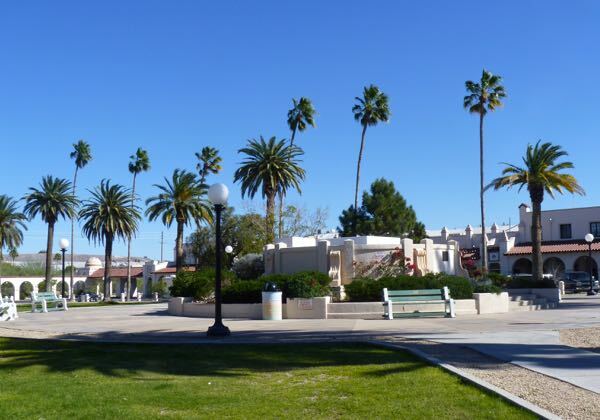 The Ajo Plaza, built in the Spanish Colonial style, includes a deli, print shop, gallery, market, visitor center, library, post office, and other shops. Second Saturday of each month they hold an art and farmers market. Across from the plaza is the Immaculate Conception Catholic Church. 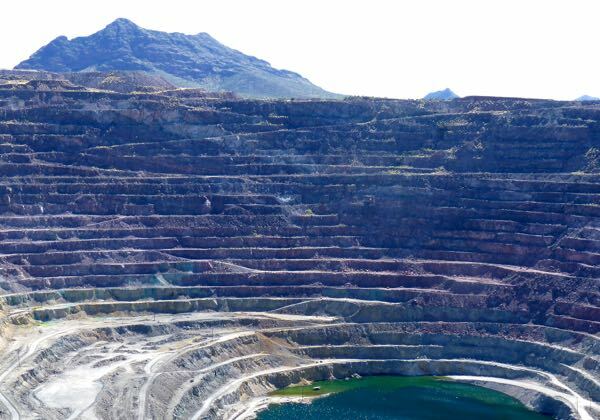 The closed New Cornelia Mine was once the second largest open pit mine that produced tons of copper from 1847 to 1984. An overlook and center told their story. They built the plaza, school, and brought the railroad. Also, adjacent to town is the Cabeza Prieta National Wildlife Refuge. The Curley School, was originally built in 1919 for the public. It was purchased by the International Sonoran Desert Alliance and converted into subsidized apartments and studios for emerging artists that must qualify. 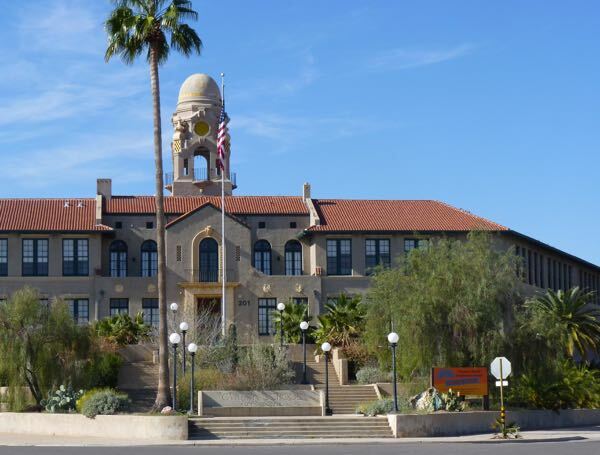 A portion is being made into the Sonoran Desert Conference Center which includes a clay studio, woodworking shop, community garden, auditorium, meeting rooms, kitchen, and rooms to rent. Adjacent is a public gym and a learning center. 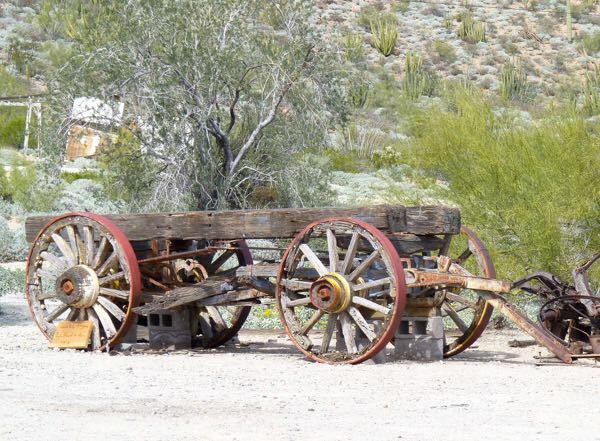 The Ajo Historical Society Museum sets below Camelback Mountain and houses artifacts and info about the town’s past. 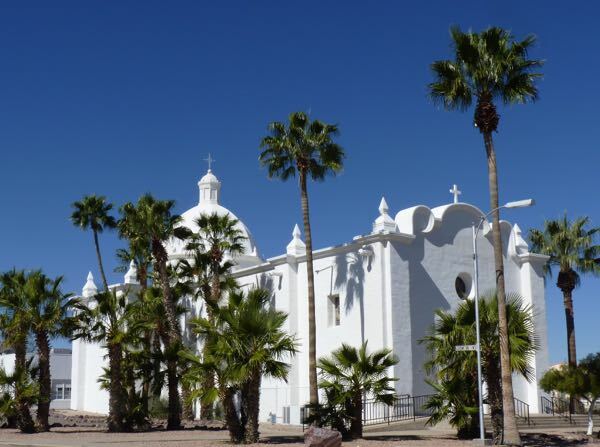 It was once Saint Catherine’s Mission and school to the local Tohono O’odham natives. I learned that the town of Ajo has no official government; but instead, is managed by the citizens through committees and volunteers. Camp was about three miles south of town near Black Mountain along Darby Well Rd. 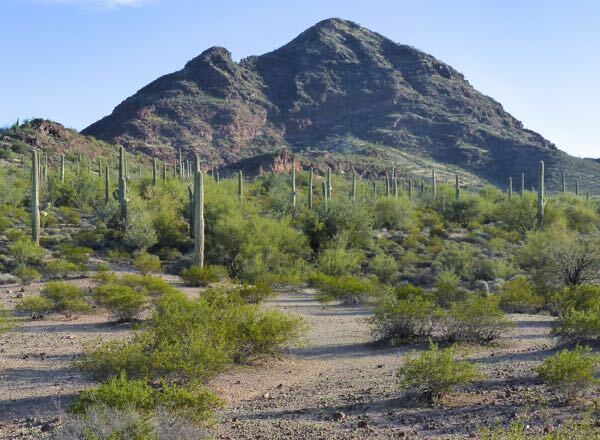 It was a nice distance back from the gravel road amongst palo verdes and saguaros. There was a good internet signal, and one night I heard the coyotes howling. Looks like the desert is really greening up out there. Looks like you are enjoying a good time. The desert is incredibly green. And, yes I’m really enjoying myself. Really looking forward to seeing some of these haunts of yours. Beautiful photos as usual. Are you getting any desert painting in? There are some pretty neat places and scenery to be found. I like the small towns and remote landscapes best. Some painting, but still struggling with the acrylics.